As we head into the development of the fiscal year 2020 budget, I am providing several resources for your review. These include: the FY20 Budget Presentation, an Enrollment Analysis, and our Accountability and Strategy Overview. These documents can be found under the Superintendent of Schools link (above). I encourage you to review these documents as we plan for the coming school year with necessary and new investments that will create opportunities for our students, build connections, and always strive for excellence in the classroom, on the field, on stage and across our community. 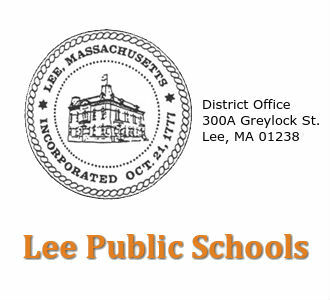 Additionally, I’m pleased to announce that the Lee School Committee has, again, agreed to participate in school choice. More information can be found by clicking on the big orange button (Enrolling in the Lee Public Schools). 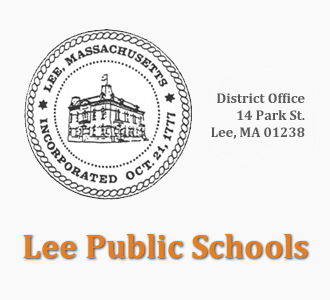 We encourage families who live outside the districts to consider Lee as their school district of choice. We offer a personalized small school setting, a comprehensive array of academic and co-curricular opportunities, strong community partnerships, and high growth among our students. Finally, we’ve added a Wellness link to our website (under the Lee Elementary School landing page) with the goal of encouraging access to resources and supports. We encourage families, parents/guardians, faculty and students to check out this new resource. All my best as we head into the spring season!